ByrnesMedia, a leading North American broadcast consulting firm, is pleased to announce it has formed a marketing partnership with famed syndicated reporter, James St. James, “The Real Jimmy Hollywood.” ByrnesMedia will offer Jimmy Hollywood’s entertainment feature to radio stations in Canada. Jimmy has delivered the scoop on all things Hollywood for nearly 30 years and is well respected by listeners and stars alike. His blend of timely information with exclusive first-hand interviews and interesting features, peppered with just the right amount of humour, make his offerings a favourite entertainment feature of anyone who has heard his work. Jimmy is already heard in 15 Canadian markets and ByrnesMedia is happy to offer the 3 minute program either daily (5 times a week) or three days a week (Monday, Wednesday, Friday). Jimmy will phone your station and interact, live from Hollywood, with the talent. He becomes your exclusive source for entertainment and/or late breaking hard news. This show will spike your morning show ratings and will drag listeners over from other stations. How many of your current features achieve that? For further information call ByrnesMedia at 905-332-1331. To hear a sample of the show go to www.byrnesmedia.com and click on syndication. Did Radio Miss the Boat Again? How did you learn about the death of Whitney Houston? It was not that many years ago that the answer would have been that your local radio station told you about it and broke the news, while television scrambled to find pictures and look for a way to break into their networked programming. Whitney Houston died sometime after 3pm on Saturday afternoon (11/2) and I first heard about it via social media. 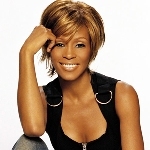 News of her passing was first tweeted by a young Hollywood resident by the name of Britany Pullard at 4:02pm to her 799 followers with the question “Is Whitney Houston really dead?” Then some 13 minutes later someone sent a message that said “omgg , my aunt tiffany who work for Whitney Houston just found her dead in the tub.” This, by the way, was 40 minutes before any of the official news agencies ran the story, and less than 7 minutes after the Beverly Hills Police department pronounced her dead. It is still unclear how this Hollywood night clubber learned about the passing of Whitney Houston, but she is credited with breaking the story. AP News was the first news organisation to tweet the official statement from Houston’s publicist at 4:57pm confirming her death but not the cause. Houston was discovered unresponsive in her hotel room at the Beverly Hills Hilton. I first saw news of the death flashed across websites and on Facebook on Saturday evening. So I tuned in to a few of the radio stations I can hear from my house to see if they had coverage of the passing of this talented singer. I gave up on the FM stations after an hour as they all sounded voice tracked, including most of the FM stations in Toronto, by the way, which I find most disheartening. So I switched over to the AM dial and heard coverage on the news stations such as 680 News, but they had few details at that point. I then fired up app on my iPad and tuned in to the big AC station in Los Angeles. KOST 103.5 sounded live, they were playing Whitney songs and I heard recorded imaging that was specifically written to honour Whitney. They got it and were still playing 4 Houston tunes per hour the next day when I tuned in. What really disappointed me was the lack of coverage the following morning on radio stations in Canada – at least the ones that I tuned in to. Sure, the FM stations that run weekend news carried the story as you would expect. But what was missing was the jock talk about her death, the Whitney songs and the listener reaction via the phones. I can only assume that most stations’ music logs were created well in advance and the voice tracks had been recorded many hours or days before her death, so there was no live body in the studio to adjust the music log anyway. Ensure you have a system in place to monitor social networks even on the weekends. Have a plan in place so the talent goes live, or at least can record and insert tracks into your programming. Ensure that staff can mobilize quickly to change your programming. Radio stations, especially AC stations, should have abandoned their regular programming and gone wall to wall Whitney Houston on Saturday night. By Sunday morning they should have already put together a tribute special to Whitney. Have staff briefed that are able to write and put together a music tribute for the artist and get that to air as soon as possible. Allow your listeners to call in with comments and memories of the artist. Radio can do this better than any other medium, given that anyone who has a telephone has a microphone to your station, providing of course there is someone in the studio who can answer the phone! Go on the streets and capture audio from local people allowing them to talk about their memories of the artist. After all, who over 30 years of age did not see the movie The Bodyguard? Guys wished they were Kevin Kostner and girls wanted to be like Whitney. In fact Whitney was one of the most popular names for babies born in 1992 and 1993. By the way, where was Kostner when Whitney really needed him? Sadly neither Kevin nor anyone who could help Whitney was anywhere near the Beverly Hills Hotel on that Saturday afternoon. Think about who your station could call to get a sense of what was happening in Los Angeles. Often overlooked are the local radio stations, and as already stated, KOST was live, as were any number of stations in California who would have been happy to give you a sound bite. Ensure you can get your website updated and use it to drive listeners to your radio station. As morbid as this sounds, you might put a list together of the artists you play that may pass on soon. I worked with a Drive jock who spent a few hours a week working on this type of thing. I remember walking into the production room one day and he was working a tribute to Mick Jagger. That was probably 15 years ago now and Mick is still going strong. I hope this article will at least cause some discussion inside radio stations, and PD’s – oops, I mean Brand Managers – will be more pro-active the next time a huge music artist makes the news. I suspect listeners will appreciate the effort and even those who are not big Whitney Houston fans will get that radio can act quickly and pay more than just lip service to major events in the music world. Lastly how will your radio station deal with the funeral which will be broadcast live this Saturday (18/2)? Canada’s Internet service providers aren’t bound by the country’s broadcast regulations, the Supreme Court of Canada ruled Thursday. Cultural groups argued that companies such as Bell and Rogers that provide Internet connections to their customers should be considered broadcasters, because they distribute content. “An ISP does not engage with these policy objectives when it is merely providing the mode of transmission,” the court ruled as it dismissed the challenge. The CRTC has issued a status update on the Do Not Call List (DNCL). This report shows the number of registrations to the list, the number of complaints made to the CRTC about telemarketing calls, and the number of citations handed down since the list went into effect. To read this report, click here. Now that Parliament is back in session we can expect to see the updated Copyright Bill known as Bill C-11 to make its way through the select committee, and eventually pass into law given the Conservative majority. It was actually introduced on 29 September last year. […] (4) The broadcasting undertaking must destroy the reproduction when it no longer possesses the sound recording, or performer’s performance or work embodied in the sound recording, or its licence to use the sound recording, performer’s performance or work expires, or at the latest within 30 days after making the reproduction, unless the copyright owner authorizes the reproduction to be retained. Frankly, I suspect that most broadcasters are not aware of this wording or the impact it could have if the Bill passes with this clause unchanged. It is the words “or at the latest within 30 days after making the reproduction” that could cause Broadcasters problems and/or cost them a lot of money. In the worst case, broadcasters could be forced to destroy every song on their hard drives every 30 days and then re-record it all or be faced with continuing to pay mechanical rights fees. As it is currently worded it would be up to Broadcasters to prove that they actually “own” a copy of the music or pay the mechanical rights fees. Given that most broadcasters receive their music via a digital service such as DMDS it could be a real challenge to prove that we actually own each recording. This artificial 30 day “destroy regime” is potentially expensive and administratively restrictive for broadcasters, yields no benefit to rights holders, and is probably unenforceable. The CAB and a number of broadcasters are working with Parliamentarians trying to ensure this clause is updated so the new Bill lives up to the promise made by the Industry Minister and is workable. Canadian broadcasters pay $65 million in copyright tariffs annually to artists (rights holders) for playing music on radio, and we are happy to continue to do this. 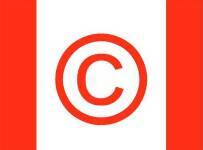 But in the past few years a number of organisations have taken advantage of the current copyright act and Canadian broadcasters have been forced to pay a “reproduction fee” even though we receive the music digitally, store it on hard drives and play it from those hard drives. By the way, most of the $21 million that was collected last year as part of the new reproduction fees immediately went offshore to countries like Germany, Japan and England, meaning that Canadian artists and the Canadian music industry did not benefit in any way. If the bill passes without this clause being changed, the very organisations that have been sucking money out of broadcasters for the past 2 years will continue to put their hands out for even more money and hold the 30 day destroy clause over our heads. If you can reach out you your Federal MP please do so and ask that he or she talks to both the Industry and Heritage Ministers. While we all understand the importance that familiarity plays in our business – from music to jocks to spots. I’ve always wondered why, though. I came across a few recent studies that help shed some light on the matter. What is it exactly that makes us desire familiarity is a question I tried exploring a couple years ago, but was unable to find research that dealt directly with the topic. I figured I would give it another go and this time did come across a study that went straight to the heart of the issue. An article published in November, 2011 on the Public Library of Science website, PLoS ONE, gives hard evidence of the importance of familiarity in music. The paper, entitled “Music and Emotions in the Brain: Familiarity Matters” was compiled by researchers in Portugal and Finland and I’d like to share excerpts with you to help answer something that I’ve been curious about and possibly you have been, too. Listening to music is one of the most pleasurable human experiences, and one in which we invest a considerable amount of time and money. In a survey study , most subjects stated that their investment in this activity derives from the ability of music to convey emotions. For this reason, a better knowledge of how and why emotions are generated when listening to music will contribute to our understanding of why music is so important to our species. …in order to mimic the naturalistic situation in which music appreciation occurs, we discarded the manipulation of a single music dimension, and rather used expressive music from the pop/rock music genre, as it is the most ubiquitous in Western world… In addition, appreciation of pop/rock music does not require formal musical training, and it is consequently the most available and important instance of aesthetic enjoyment of music. In sum, with this study, we examined the role of familiarity and aesthetic preferences in music enjoyment and in the activation of limbic and reward centres in the brain, using commercially available pop/rock songs. In an initial phase, candidates participated in a listening test, in which they listened to song extracts and decided if each song was familiar or unfamiliar and if they liked it or not. 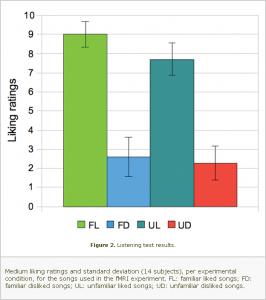 Based on this test, a unique set of stimuli to be presented during an fMRI session was selected for each participant, containing music in four different conditions: familiar liked, familiar disliked, unfamiliar liked and unfamiliar disliked. …We found that musical preferences had only a marginal effect on the activation of limbic, paralimbic and reward system areas. On the contrary, familiarity with the music was the key factor to trigger increased blood oxygen level dependence (BOLD) response in these emotion-related regions, namely in the putamen, amygdala, nucleus accumbens, anterior cingulate cortex and thalamus. …To our knowledge, we provide the first functional neuroanatomical evidence for a strong effect of familiarity in the way listeners’ get emotional engaged with the music, at least within an experimental setting. Our results not only strengthen the body of evidence showing that music is very efficient in recruiting emotional centres of the brain, but also clearly provide evidence that familiarity with a particular piece of music is an extremely important factor for emotional engagement, and thus furnishes “direct access” to these emotional centres of the brain. Admittedly, some portions of the paper are beyond the layperson (i.e. the various areas of the brain), but it’s evident that that familiarity creates a physical response (in this case, increased blood flow) in the parts of the brain related to emotion. Certainly appeal is also a factor, but it’s secondary, regardless of whether the song was liked or disliked. The following graph illustrates the differences. The importance of music in our daily life has given rise to an increased number of studies addressing the brain regions involved in its appreciation. Some of these studies controlled only for the familiarity of the stimuli, while others relied on pleasantness ratings, and others still on musical preferences. With a listening test and a functional magnetic resonance imaging (fMRI) experiment, we wished to clarify the role of familiarity in the brain correlates of music appreciation by controlling, in the same study, for both familiarity and musical preferences… Brain activation data revealed that broad emotion-related limbic and paralimbic regions as well as the reward circuitry were significantly more active for familiar relative to unfamiliar music. Smaller regions in the cingulate cortex and frontal lobe, including the motor cortex and Broca’s area, were found to be more active in response to liked music when compared to disliked one. Hence, familiarity seems to be a crucial factor in making the listeners emotionally engaged with music, as revealed by fMRI data. The study is indeed interesting, but like many other studies is not perfect and is open to criticism. The researchers themselves cite some areas where their findings may be questioned and sample size is something that personally gives me pause. Just the same, though, it seems to be a safe bet that familiarity in music has been grounded in science, at least to an extent that allows us a greater degree of certainty in our music programming regimen (or when answering persistent 10 year olds). 1. Juslin PN, Sloboda JA (2001) Music and emotion: theory and research. New York: Oxford University Press. 504 p.
5. Peretz I, Gaudreau D, Bonnel AM (1998) Exposure effects on music preference and recognition. Memory and Cognition 26(5): 884–902. 24. Meyer M (1903) Experimental studies in the psychology of music. American Journal of Psychology 14: 456–478. 25. Schellemberg EG, Peretz I, Vieillard S (2008) Liking for happy- and sad-sounding music: effects of exposure. Cognition and emotion 22(2): 218–237. Their goal was $50,000; they did that and then some! $59,142 was raised at the 2nd Annual Handbags for Hospice Friday night. The event, in support of the VON Oxford’s Sakura House, raised about $41,000 last year and organizers were confident they could reach or even surpass their $50,000 goal this year. The night included a silent and live auction, raffles, games, prizes and of course an evening of socializing, delicious desserts, laughter and fun. Over 550 women bid on a variety of handbags both new and gently used from a variety of designers including Coach, Nine West, Michael Kors, BCBG Max Azria and Louis Vuitton. The live auction also included a Marie Osmond purse that Donny Osmond autographed during Heart FM’s Donny Day in July 2011. A big hit at last year’s event returned this year; the Woodstock Firefighters! The men in uniform were there to help out throughout the evening serving drinks, assisting with the auction and even offering their services in the kitchen. As an addition to the live auction for the second year in a row, a three course dinner for eight prepared by the Woodstock Firefighters was auctioned off, bringing in $3000 on its own. Heart FM’s Dan Henry and Paul Graham of the Woodstock Fire Department entertained the women as the co-masters of ceremonies and auctioneers, and Tracey Kaiman of Eden Bella Boutique and Roberts & Co Ladies Wear provided the fashions for the live auction. Event Chair Leslie Farrell, along with committee members known as the “Bag Ladies of Oxford” credit the success of the event to the generosity of event sponsors, local businesses, volunteers, attendees and the community as a whole. VON Oxford’s Sakura House is Oxford County’s only residential hospice. The home provides 24 hour end-of-life care by a team of professionals with assistance from professionally trained volunteers at no cost to the patients and their families. Their specialized palliative care focuses on living fully in comfort and with dignity until the end of life. Feb 1 “Working Naked Day”: A day for all those who are working from home “naked” – stripped of the resources that millions take for granted in the traditional corporate workplace. Feb 2 “Groundhog Job Shadow Day”: 12th annual. Students spend part of the day in the workplace “shadowing” an employee as he or she goes through a normal day on the job. Call 1-800-373-3174 for a kit. Email info@jobshadow.org. See www.jobshadow.org. Feb 4 “International World Cancer Day” see www.uicc.org. Feb 4 “Safer Internet Day”: To promote safer and more responsible use of online technology and mobile phones, especially among children. See www.saferinternet.org. Feb 5 “Super Bowl XLVI”: Lucas Oil Stadium, Indianapolis, IN. Call 212-450-2000. Web: www.nfl.com. Feb 5-11 “Dump your Significant Jerk Week”: With Valentine’s Day just around the corner, there’s no time to waste. If you’re in a loser relationship, it’s time to cut the cord. So call Marcus P. Meleton for ideas at 949-413-3052, email mm@sharkbaitpress.com. Web www.sharkbaitpress.com. Feb 12 “Man Day”: A day for celebration by friends, family and associates of the men of the world. Annually, the Sunday before Valentine’s Day. Call C. Daniel Rhodes 205-908-6781, email rhodan@charter.net. Feb 13-19 “International Flirting Week”: Recognizing the role it plays in the lives of singles seeking a mate, couples looking to sustain their love and those simply exchanging a playful glance with a stranger, acquaintance or colleague. Call Robin Newman 516-773-0911, email robin@lovecoach.com. Web www.lovecoach.com. Feb 20 “Family Day”: Annually, the 3rd Monday in February. Feb 21 “Mardi Gras”: (Fat Tuesday). Last feast before Lent. Feb 21-25 “Read Me Week”: National and local celebrities and other volunteers read in classrooms wearing readable clothing with school-appropriate messages. For info call 615-834-7323. See www.bookem-kids.org. Feb 23 “Introduce a Girl to Engineering Day”: The engineering community is asked to reach more than one million girls and encourage them to pursue the fields that lead to engineering careers. Call Natl Engineers Week Headquarters 703-684-2852. email eweek@nspe.org. web www.eweek.org/site/news/eweek/girlsday.shtml. Feb 25 “Open That Bottle Night”: 13th annual. A night to finally drink that bottle of wine that you’ve been saving for a special occasion that never seems to come. Email Dorothy J. Gaiter and John Brecher of the Wall Street Journal at wine@wsj.com. Feb 29 “Pink Shirt Day”: A day of anti-bullying. See www.pinkshirtday.ca. Feb 29 “International Underlings Day”: A day to recognize everyone who is neither a boss nor a professional assistant (both of whom have annual days already!) Recognized quadrennially on Feb 29 – in keeping with the esteemed position of an underling. 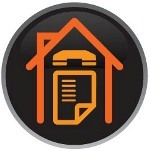 Call Peter Morris 213-840-9879 or email pdmorris@mail.com. See www.underlingsday.com. Feb 29 “Leap Year Day”: In 2012 we add one day to bring our calendar more nearly into accord with the seasons.